Well it is FINALLY available! Amazon really held that one hostage for a while. I wanted it to be free FREE but the best I could do now was free to borrow for Amazon Prime members and .99 otherwise. Smashwords has been giving me fits and unfortunately they are the easiest way to get a free book out there. Someone suggested I just make the book a google doc and just post it wild on the internets--but I think that is asking for someone to take it and call it their own. IT IS NOW FREE ON AMAZON. CLICK THE COVER. I also decided to delay my giveaway; I was going to do one for Halloween but I looked up and realized EVERYONE was doing one so I thought I start tomorrow. 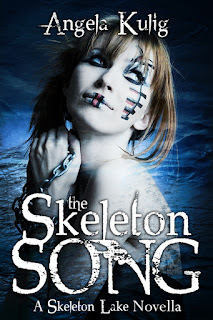 Check on the book trailer for The Skeleton Song below! Can you publish the book to B&N or Kobo for free and get Amazon to price match? That was my plan wish smashwords. XD We will see when the dust settles. Bad news... it's only been ten days, and Amazon has raised the price back up to 99¢. Apparently they figures out that even with the 15% or 20% they take off the top, they're not making a significant profit on free books. Amazon is interested in keeping readers happy, but not at the price of making shareholders unhappy! in India. The main reason is the gender-biased interpretation of the Qur'anic text by men of religion. Later, in the medieval period astrolabes were specifically used as a navigating device to find the location of Kaaba in Mecca.